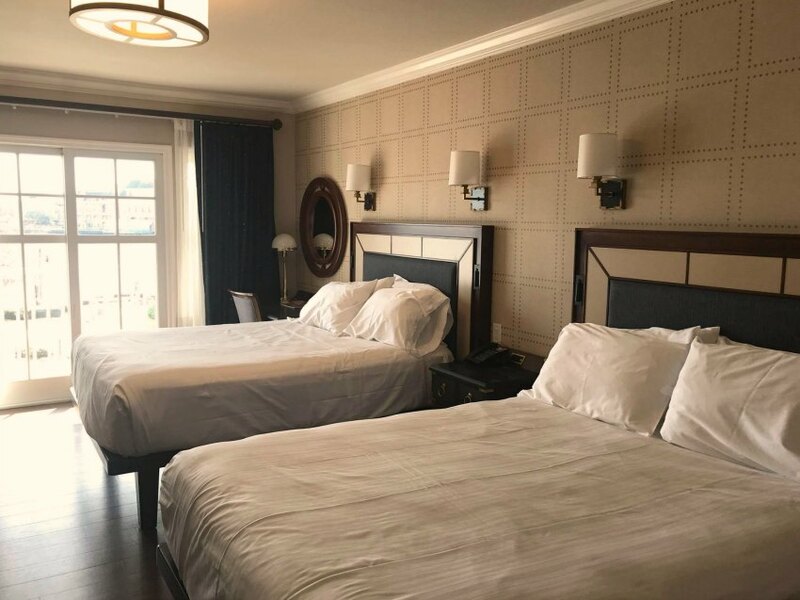 I wanted to give you a peek at Disney’s Yacht Club Resort new room updates. In the past year, this resort has been getting a nice little face lift and I love the results! 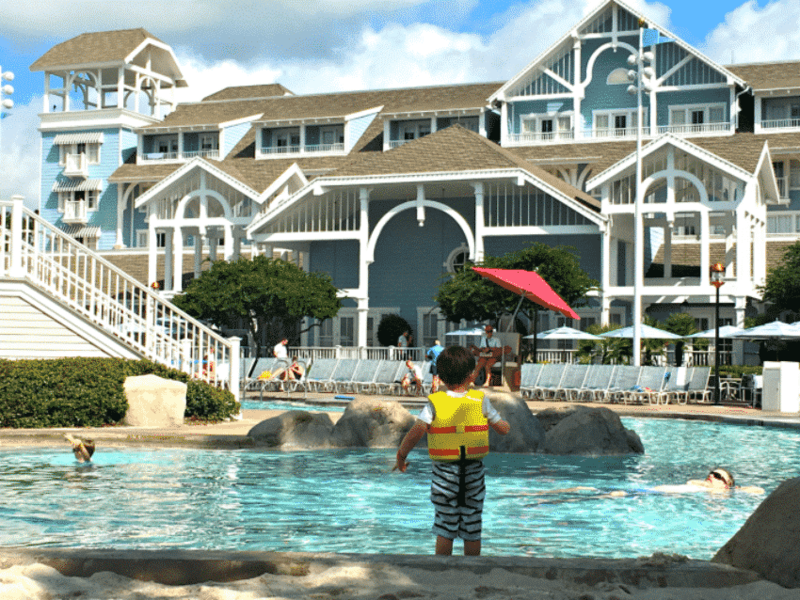 If you plan to stay in a Deluxe Disney Resort anytime soon, you’ll want to add the Yacht Club to your short list. As you know, I try to stay in a different resort whenever I have the good fortune of visiting the most magical place on earth. My family has stayed in all three levels Disney uses to categorize their properties (value, moderate and deluxe) and there is something to love about all of them. 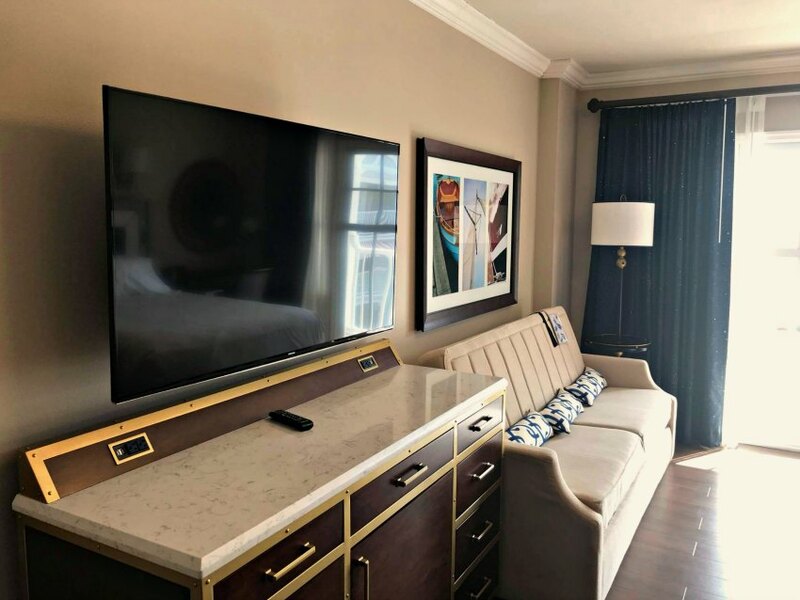 Disney’s Yacht Club Resort is probably our family favorite in the deluxe category and I can’t wait to stay in these updated rooms! This is a deluxe-level resort, with plenty of dining and entertainment nearby. You can walk to both Epcot (easy) and Disney’s Hollywood Studios (moderate) or take the boats to either. Disney’s BoardWalk is also close by with more good food and fun. We also think the pool, Stormalong Bay, is the best on property with options for the whole family from sand-bottomed pools to a slide and lazy river! Not to mention proximity to the tasty treats at Beaches & Cream Soda Shop. 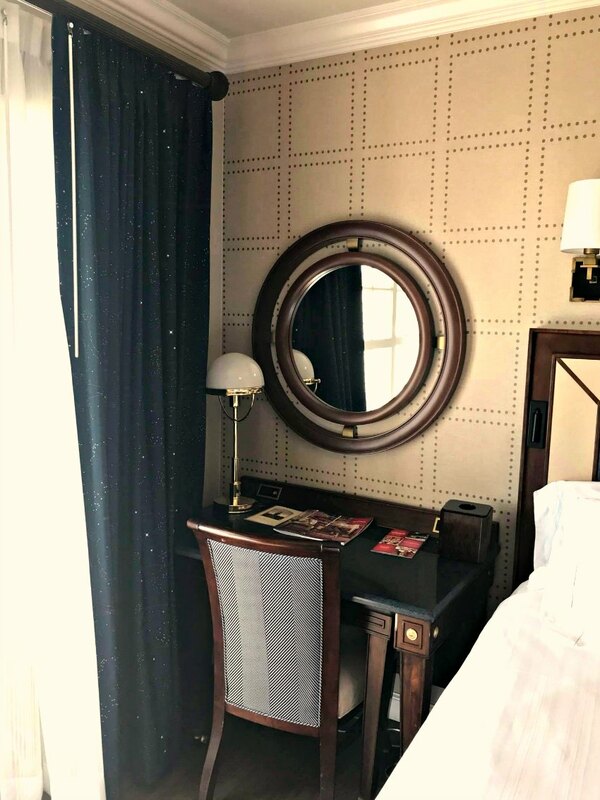 Rooms at Disney’s Yacht Club have always had a nautical theme and the new rooms carry that through albeit in a more subtle way. But don’t let the sophisticated decor make you think Disney’s Yacht Club is only for adults. Our whole family loves it! Many thanks to my friend Janna for the use of photos from her recent trip.If you need a travel agent to help you plan a Disney vacation or cruise at NO additional cost to you, Janna is amazing. Be sure to tell her I sent you! The new beds are crisp and clean and have storage underneath which I love (but remember to check for those toys!) Many rooms also have a large sofa that converts to a bed, which is awesome for families of five. Note: make sure to request this feature if it’s something you really need as not all rooms have it. 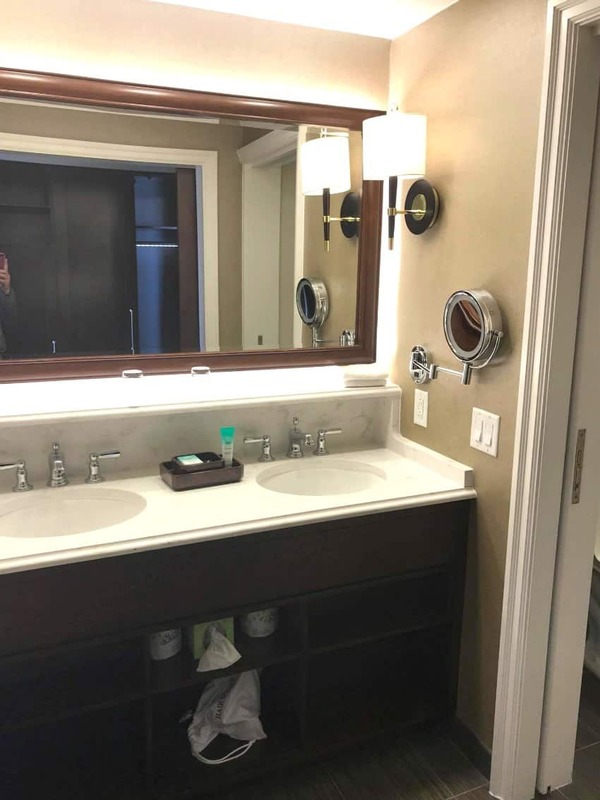 I love the large and separate vanity area in these rooms. When Calvin was a baby and we had him in a pack’n’play we used this vanity area as a little room for him and it worked out really well! And now there is a sliding door to close this off from the rest of the room, making it an even cozier alcove. Aside from the kiddos, it’s just nice to have a lot of space to get ready when other family members are showering. All my toiletries live on that shelf over the sinks right where I need them. 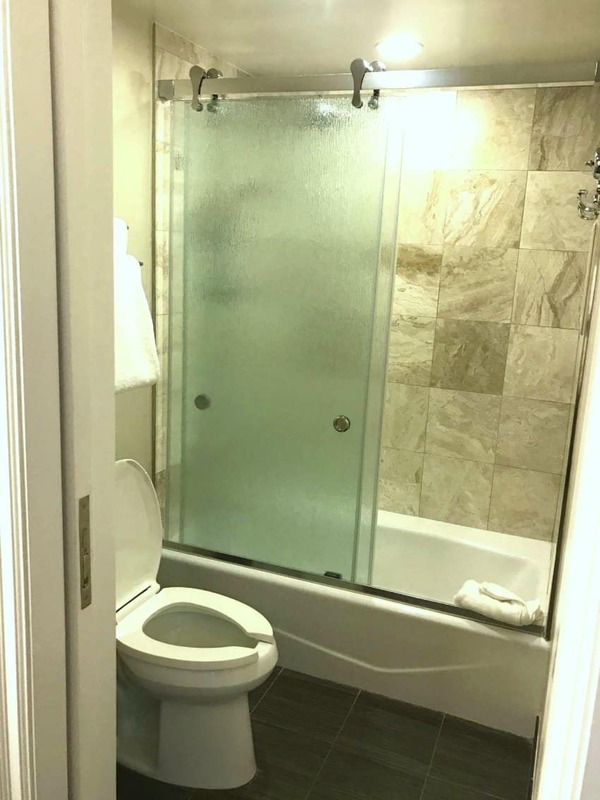 The commode area has glass doors on the shower and pocket doors, which is really helpful as this room is not very big. The absence of a swinging door makes a big difference! 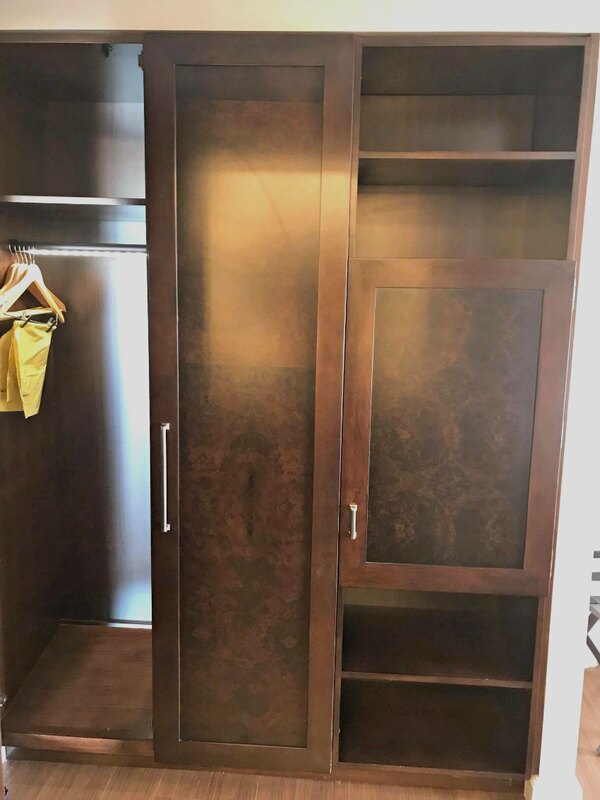 There is a new wardrobe insert added to the closet area making this a bit more presentable. The old closets never bothered me, but I do like the shelving here and I think our shoes would be very happy there. Behind the small door is the room safe for any valuables you may not want to leave lying around. To the left of this area is another counter with a small fridge underneath and a Keurig on top. Essentials. Finally, I have to show you the little desk space. This is a bit smaller than the old rooms but also seems to have the extra little table that pulls out. My kids love this feature and it’s a great place for cereal in the morning before we head out to the parks. But my favorite part is the curtains! Did you think this photo was dusty like I did at first? Not the case! Close the drapes in the room for a fun surprise. 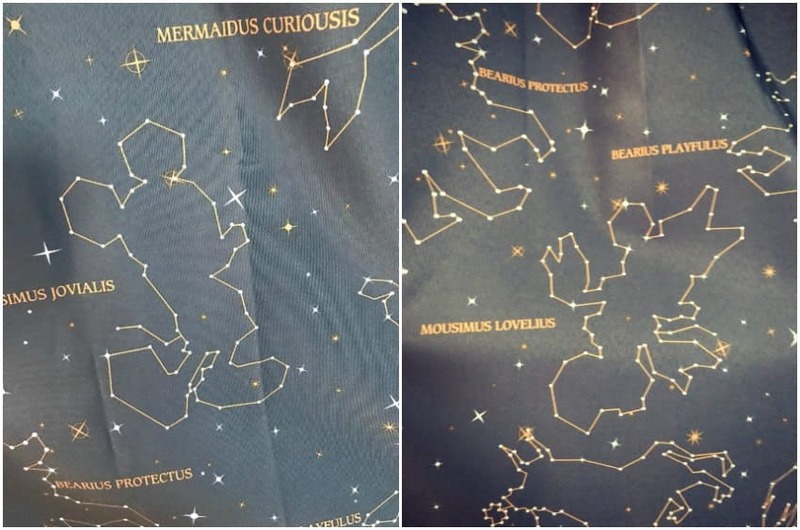 Anyone who is a fan of Disney theming will get a kick out of these adorable character constellations! One final tip, this resort is bigger than it seems and the hallways can get pretty long. I recommend requesting a room near the lobby for quick access to everything. I love a great view but I would prioritize a shorter walk since we don’t spend tons of time in the room. But that’s our preference! 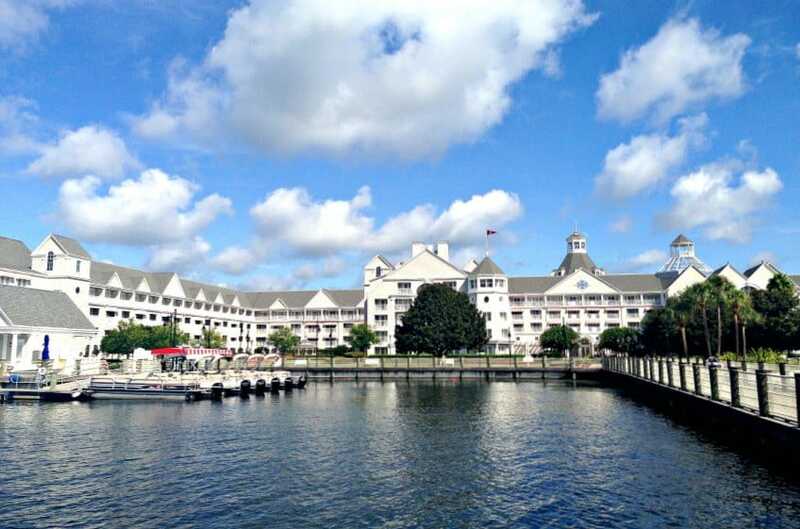 Have you stayed at Disney’s Yacht Club Resort?